This fantasy film tells the story of a bored and unhappy housewife, Cecilia, who escapes her life by attending the movies on a regular basis. After seeing the fictional movie The Purple Rose of Cairo a number of times, Cecilia notices one of the characters, Tom, appears to be looking at her. Tom, a fictional archaeologist and adventurer leaves his movie world behind and exits the screen and decides to begin a relationship with Cecilia in the real world. Unfortunately, Cecilia's life is a struggle as she is tied to her abusive husband who has stopped her leaving him many times. 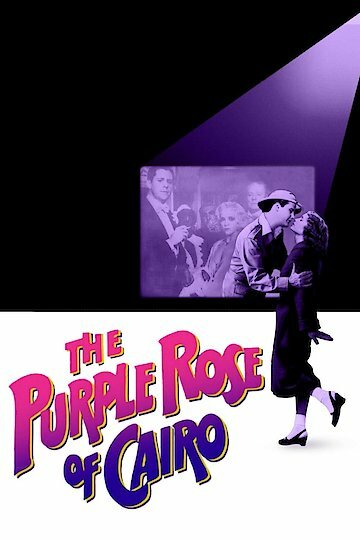 The Purple Rose of Cairo is currently available to watch and stream, download, buy on demand at Amazon Prime, Amazon, Vudu, Google Play, iTunes, YouTube VOD online.